Dried wild mushrooms work particularly well in soups, stews, risottos and savoury recipes generally. 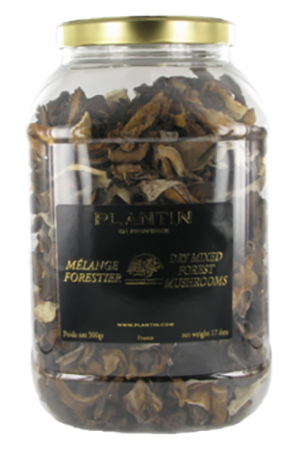 These dried forest mushrooms can be also be used in omelettes, cream sauces or mixed with pasta. Dietary Information: Gluten free. Lactose free. Egg free. Nut free. Wheat and derivative free. Suitable for vegetarians and vegans. In order to retain more flavor when soaking, re-hydrate dried mushrooms in cold water instead of hot.It will take longer, but more flavor will remain in the mushrooms. This re-hydrating technique is especially useful if you are using only the mushrooms, and not the soaking liquid, in a recipe.